You need to find out the correct model and vendor of the graphics card on your system, to be able to install the appropriate drivers and get the hardware to function properly. Most modern linux distros can detect variety of graphics card, but do not always have the best driver for it. So if you have an external graphics card like Nvidia or Ati, then you need to find the model name/number and then lookup further details online. Ofcourse, its easier if you have the hardware manual that came along when you purchased the computer. But here we shall be using commands to find out the same information. The are only a few commands to learn. First one is lscpi and here is a quick example showing how to fetch details about graphics unit (also called vga card or video card). The first line has the nae of the vendor, the model name/series and the pci id. Note the numbers in the bracket - 8086:2982. Such a number is present for almost all graphics card. The first part (8086) indicates the vendor id (which is Intel here) and the second number (2982) indicates the pci id, which indicates the model of the graphics unit. Now you can search google for more details using the Vendor name and the pci id. The lshw command can also be used to get the above information. The pci details is indicated in the same way. The active device driver is also listed in the "configuration" line. Here is a sample output from a system having an nvidia geforce 210 graphics card. For dedicated units like nvidia or ati, you can easily search online for the model number or pci id. The specifications and other details would be available on the vendor's website. However for integrated graphics chipsets like Intel GMA, you may not get sufficient details by just searching the series name (82G35 over here) or pci id. The series covers many similar models, while the pci id might not be documented on the website. In that case, lookup the motherboard model and find its specifications. Vendors publish product specification documents for every motherboard model they manufacture. These contain technical details about the hardware. To find your motherboard model, use dmidecode or inxi command. The above output shows that its a "Intel DG35EC" motherboard. Google up for that model to find the product specifiation document, and look for Video/Graphics information in it. With hardware based 3d acceleration, applications that need to draw 3d graphics can use the hardware directly to process and generate the graphics, speeding up 3d rendering significantly. For this, the graphics card must support hardware acceleration and the correct drivers must be installed on the system to use this feature. The 3d processing functions provided by the hardware adhere to the OpenGL specifications, and with the right hardware, applications can access them through the opengl api. 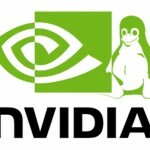 OpenGL just defines the functions and the implementation is done inside the hardware which makes it very fast. However there are libraries like MESA that implement the opengl functions entirely inside software. 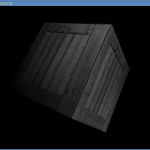 So it is possible to render graphics using opengl without actually having an opengl compatible gpu. So by checking the opengl rendering library, we can find out if hardware acceleration is present or not. The "OpenGL renderer string" points to MESA libraries which means that 3d rendering is being handled entirely inside software. This is going to be slow and games would not work well. So the OpenGL renderer is GeForce, which is the nvidia proprietory driver. This indicates the hardware based 3d acceleration is available. So graphics performance would be good. Does it work with all linux variants or flavors? Yеs! Ϝinally somеtһing aƅoսt update vidmate. Hi there, how i can determine which is the Total MB of the GPU ??? Because with lspci, the maximum says is 256M, not matter if the GPU using have 2GB or more. The graphic card id method you are showing is legacy, as I discovered recently with inxi and sgfxi, they started failing to report cards because they were relying on the VGA detection method, but in fact, there are now 3 different syntaxes being used to identify cards, and you cannot simply grep for them because the syntaxes are used either as a second feature of the card, like 3D controller, or Display Controller, OR those are being used to identify a real card. The only way to determine which it is is to also then check the pci bus id, and if it ends in .0, it’s a real graphic card. sgfxi had dual card detection which was failing because of this issue, it took a few user data sets to figure out and debug the issue. VGA always works, but will only return cards using the VGA id method, and it will miss all cards, often things like intel onboard cards. The last item, Direct Rendering, generally shows if the video driver is working, by the way. I don’t remember which release of inxi fixed this bug, but it’s certainly fixed now, in 2.1.20. I didn’t personally have a system that used alternate syntax for primary card id, but by good fortune I did have systems that showed the problem with the busID, for example, you can have a busid of 02.01.1 which is NOT a card, but just the 3D controller identifier for a VGA id’ed card at 02.01.0 . I have no idea who or what made this change, all I know is it happened sometime in the past 2 or 3 years. Obviously as well, VGA is a legacy term in the first place, which is I think why they moved to other terms. So there is no easy one step way any more to grep out card info, you have to look at the entire lspci or other info output, then find the ones that are at busid .0, which is what sgfxi and inxi now do. Your inxi review recently was good by the way, I liked it, thanks.